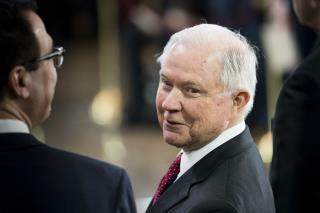 (Newser) – Robert Mueller's team is interested in President Trump's attacks last summer on Jeff Sessions—whom Trump reportedly likens to an elderly, bumbling cartoon character—and his team has been questioning people to that end, sources tell the Washington Post. Mueller is probing whether Trump tried to obstruct justice as part of the special counsel's investigation into links between Trump's campaign and Russia, and the investigation has already found that Trump pressured Sessions not to recuse himself from the Justice Department's Russia investigation in March 2017, per the New York Times. People familiar with the matter say Mueller aims to learn whether comments Trump made about Sessions in late July and early August were part of an effort to force him out and install a replacement who would intervene in the investigation. Trump is a fool. With Mueller watching every move he makes, the idiot in chief still can't control himself like any other adult. Which, come to think about it, is just fine with me. If he hangs himself with his own stupidity, the better for us. I can't wait for Sessions' tell all book. Rude behavior. ... Work-life imbalance. ... The job did not meet expectations. ... Employee misalignment. ... Feeling undervalued. ... Coaching and feedback are lacking. ... Decision-making ability is lacking. ... People skills are inadequate. The above are reasons for High Turnover, sound like anyone you know? Not only is this a BAD situation but it gives our Adversaries inroads to doing harm to the USA. Trump (Groper in Chief) is a RISK to National Security... LOCK HIM UP!